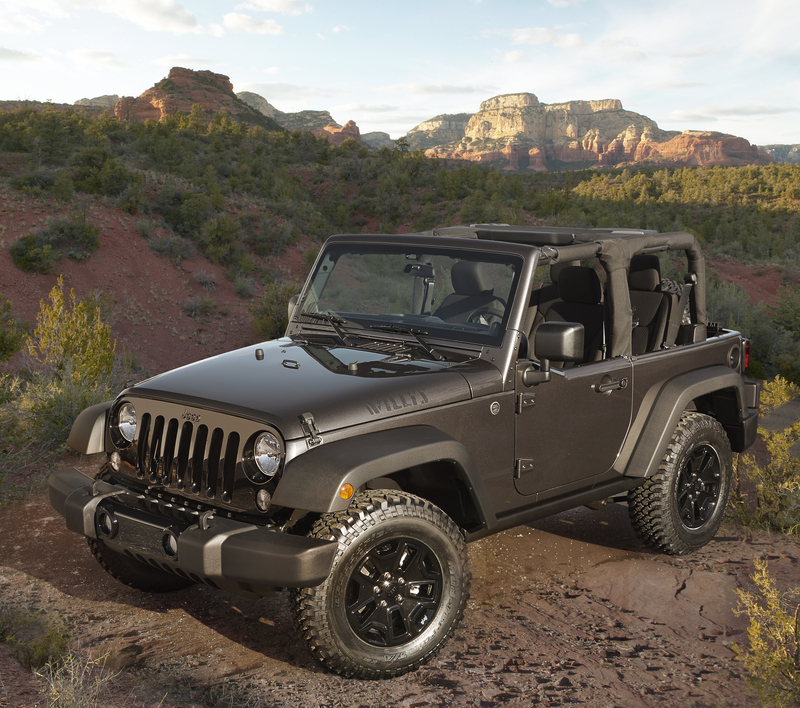 True fans of the Jeep brand will love the 2014 Wrangler Willys Wheeler Edition. Jeep Wrangler owners are some of the most loyal and dedicated group of car aficionados you can find. This loyalty stems from the original Jeep, the Willys-Overland CJ-2A. First introduced in 1945, this civilian version of the military Jeep was an immediate success because of its rugged capabilities and functional features. The beloved features of the original CJ (civilian Jeep) will be the focus of a new special edition: the 2014 Jeep Wrangler Willys Wheeler Edition. Every feature on this unique Wrangler has a purpose, from the 17-inch black wheels with mud terrain tires to the rock rails that protect the side sills. This Jeep is designed for off-road purists. It includes a Dana 44 rear axle with a limited-slip rear differential and a Jeep Trail Rated Kit that gives you a tow strap, D-Ring, and Jeep-branded gloves. The Willys Wheeler Edition will be available early next year with a starting price of $25,795. We hope to see this in our showroom here at Rothrock Chrysler Dodge Jeep Ram.